Being the commercial centre of the rich mid-Canterbury farming area and the main town of the Ashburton District, Ashburton reflects the regions prosperity with tree-lined streets, parks and gardens. With magnificent scenery, numerous outdoor and adventure activities, Ashburton is the perfect backdrop for business or leisure. If you are into sports, Ashburton District has over 200 sports clubs; encompassing facilities like a synthetic hockey turf, nationally rated tennis complex, covered heated swimming complex, five golf courses and an equine race centre - something for everyone! 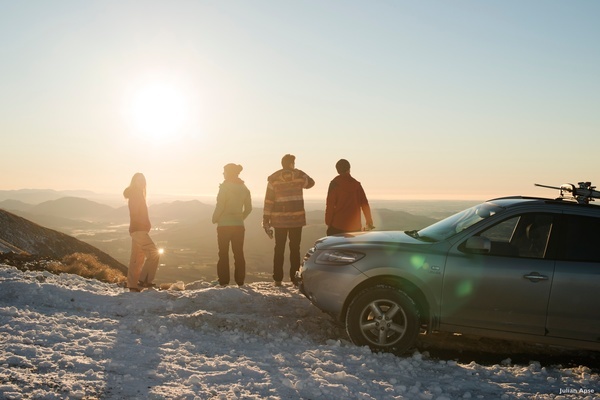 40 minutes' drive from Ashburton is the internationally famous Mt Hutt Ski Field which has arguably the best skiing and snowboarding in New Zealand, including world class Heliskiing in the vast mountain ranges. This 72 hectare man-made aquatic park is sited on the edge of Ashburton. The large recreational lake provides unbounding leisure time which includes boating and water skiing. Ashburton is home to the fastest harness racing track in New Zealand. Ashburton has the luxury of having a world class Aviation Museum - containing a Harrier Hawk, Tiger Moth and a Harvard, to name a few well known planes. Rakaia and Rangitata are renowned for salmon in crystal clear waters and for thrill seekers, try rafting or jet boating. Exhilarating jet boat experiences are offered by Jet Boat Tours, based at the Rakaia Gorge. Rangitata Rafts can give you a 3 hour adrenalin pumping raft trip on the Rangitata River, one of New Zealand’s most exciting stretches of white water. This (one way) 19km, 5 hr walk follows the river to the sea, providing a fantastic look at the braided Ashburton River and the local birdlife. The chapel was built in 1916, relocated to Trotts Garden and now provides a quiet tranquil feel in the garden. A wonderful spot for weddings, the Garden is full of peaceful woodland areas. Ashburton Speedway Association is affiliated to the South Island federation of independent speedway clubs. A wide range of saloon cars, street stocks, mini stocks, youth mini stocks and open wheelers race at Ashburton. 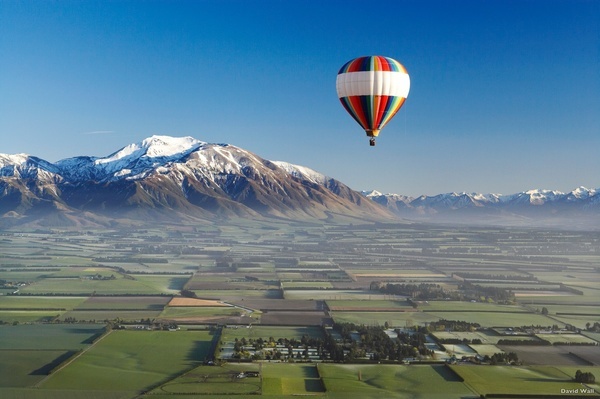 Although weather dependent, hot air ballooning is a magical experience and offering peace and tranquillity as you float over the Canterbury Plains, with views right to the Southern Alps. Sky Diving Kiwis will take you on a magnificent journey from Ashburton, in the heart of mid-Canterbury on a plane ride to altitude where you will see breath-taking scenery, and then you'll experience an amazing free fall on your descent back to earth.